Please note absentjustice.com is a work in progress: last edited in April 2019. I am highlighting the latest report from Australia’s ABC TV program, “7.30” on 19 March 2019 (see Keli Lane trial judge calls for investigation into withheld police … – ABC) because it highlights the none discovery of important documents related to Keli Lane’s earlier trial, in particular how some matters were not disclosed at that trial, which took place twelve years after similar phone and fax hacking issues tainted the COT Cases’ arbitrations in 1994, arbitrations that the Government had endorsed. In most of those government-endorsed COT arbitrations (perhaps all of them), back in the 1990s, it was not only fax hacking and interception of phone conversations that played a major part in the process, there were actually also many claim documents that never reached the arbitration process or were screened by an unidentified third fax machine, connected to Telstra’s network, so that the documents could be thoroughly scrutinized before they reached their intended destination (see Open Letter File No/12, and File No/13). “We canvassed examples, which we are advised are a representative group, of this phenomena [sic]. the header strip of various faxes was changed or semi overwritten. In all cases the replacement header type is the same. The sending parties all have a common interest and that is COT. Some faxes have originated from organisations such as the Commonwealth Ombudsman office. It is clear from Front Page Part One File No/1, File No/2-A to 2-E, File No/3, File No/4 and Front Page Part One File No/5, that numerous documents faxed from my office to the arbitrators office did not reach their intended destination during my arbitration. The government and administrators to that process have refused to acknowledge my claims are true and supported with factual material. “Yesterday we were called upon by officers of the Australian Federal Police in relation to the taping of the telephone services of COT Cases. “Telecom has treated the Parliament with contempt. No government monopoly should be allowed to trample over the rights of individual Australians, such as has happened here.” (See Senate Hansard Evidence File No-1. Could you guarantee that no Parliamentarians who have had dealings with ‘COT’ members have had their phone conversations bugged or taped by Telstra? Who authorised this taping of ‘COT’ members’ phone conversations and how many and which Telstra employees were involved in either making the voice recordings, transcribing the recordings or analysing the tapes? On what basis is Telstra denying copies of tapes to those customers which it has admitted to taping? (A) How many customers has Telstra recorded as having had their phone conversations taped without knowledge or consent since 1990? (B) Of these, how many were customers who had compensation claims, including ex Telecom employees, against Telecom? Why did Telecom breach its own privacy guide-lines and how will it ensure that the revised guidelines will not be open to similar breaches or abuses? Could you explain why a large amount of documents accessed by customers under FOI have a large amount of information deleted, including the names of Telecom employees who wrote and received memos and documents? How many customers who have alleged that Telecom has tapped or bugged their phones without their consent or knowledge are the Australian Federal Police currently investigating? It would be inappropriate for Telecom to make any further comments at this stage about possible breaches of the Telecommunications (Interception) Act while the matter is before the Federal Police. However, the Minister will be making a full statement in the near future on action taken to date to remedy apparent procedural problems within Telecom”. Telstra’s claim (when referring to Question 5 On Notice) that it would be inappropriate for them to comment on these phone interception issues whilst the AFP were still investigating these matters is, in itself, the normal and expected comment that Telstra lawyers would have ensured that Telstra would make, under those circumstances. No other form of interception investigation by any other authority should have taken place whilst the AFP were still investigating these breaches of privacy issues because that might well have undermined the AFP process. Before I signed for my arbitration, on 21 April 1994, I used a similar response to questions from the Telecommunication Industry Ombudsman (the administrator of the arbitrations) when I advised the TIO that it would be unworkable for the Arbitrator to start my arbitration while the AFP had not yet concluded their investigation, particularly since the COT spokesperson and I were both seeking compensation from Telstra as part of our arbitration claims and in direct relation to Telstra’s breaches of the Interception Act. I still clearly remember, as if it was yesterday, that the TIO stated that he would tactfully carry out his own investigations, along with the Arbitrator, and that their investigation would not impede the then-present AFP investigations. As shown in our Front Page Part One, the arbitrator then allowed Telstra to cross examine me regarding what the AFP had uncovered during my arbitration. Telstra’s statement to the Senate Estimates Committee (at point 5) that: “It would be inappropriate for Telecom to make any further comments at this stage about possible breaches of the Telecommunications (Interception) Act while the matter is before the Federal Police”, clearly raises the question of why the COT Cases were forced into arbitration while the AFP were still investigating exactly the same breaches of privacy claims that were to also be investigated by the arbitrator because how can there be two investigations, by two separate bodies, into the same complaints, at the same time? What if the AFP and the arbitrator came up with conflicting findings? Which findings would the arbitrator then use to calculate and pay compensation? Of course it was an unworkable arbitration process while the AFP was involved. What finally happened is that neither the AFP nor the arbitrator produced a record of any findings in relation to the (now proven) invasion of my privacy and it is now twenty-two years later, after no decision was made by either side, and it is the COT Cases who have been left to live with these undecided issues, regardless of the fact that it cost each of us hundreds of thousands of dollars just to take part in this arbitration facade. The revelations have prompted Mr Whealy to call for an investigation. “It looks like a very serious matter that requires investigation,” he says. Even if the recordings do not contain anything incriminating, Mr Whealy says they are still relevant material for the defence. “The point is an obvious one: if someone is under surveillance to see whether their behaviour indicates some sort of guilty action, it’s equally important from a defence perspective to show they haven’t been doing anything that’s untoward,” he says. “While the prosecution might want to seize on one incident or one conversation, the defence are entitled to say ‘let’s look at it overall and see what the behaviour of this person is’, and from that, to say ‘there is a lot of innocent behaviour’, so they are entitled to get that material part. “if one man can be allowed to determine for himself what is law, every man can. That means first chaos, then tyranny. Legal process is an essential part of the democratic process”. Dr Hughes (arbitrator) did not demand to know why I was threatened, during my arbitration, with the withholding of my requested discovery documents, sought under the FOI Act. What is so disturbing about this, is that when Dr Hughes learned I continued to assist the Australian Federal Police’s investigations into Telstra’s unauthorised interception of my telephone and faxes – and that Telstra did carry out its threat and stopped releasing FOI documents – he also forgot his official promise to COT spokesperson Graham Schorer made during our pre-arbitration hearing. During this meeting, Graham raised Telstra’s previous unethical conduct towards the COT cases and Dr Hughes stated “as arbitrator, he would not make a determination on incomplete information” (see Telstra’s minutes from this meeting [page 3 – second line] My Story Evidence File No 14). It is now confirmed, throughout this website, absentjustice.com, that Dr Hughes did, indeed, make a determination on incomplete information. This is serious enough, but what about the most important document of the whole arbitration process, which was also concealed, i.e, the Portland and Cape Bridgewater telephone exchange logbook which AUSTEL used in order to prepare their own covert adverse findings against Telstra (see ? Dr Hughes was even advised the Commonwealth Ombudsman was unable to force Telstra to release this document (see Commonwealth Ombudsman’s letter below). Why did Dr Hughes ignore my pleas to access this most relevant log book? Before I and the other three COT Cases signed for arbitration, Warwick Smith, Peter Bartlett and Dr Hughes all assured us the documents we required from Telstra would begin to flow through to us once our signatures were on the agreement. The Arbitration Agreement was secretly altered just 36 hours before we were told if we did not sign this altered agreement, Telstra would walk away. The inference was we could not afford to take Telstra to court so we had better sign it, or suffer the consequences of a long court and expensive legal battle. We signed it under duress, after being told if we did not sign the attached media release that stated we were happy little chappies then the same scenario applied. Almost crying with frustration and anger at having reached this gate which was half open we did what we were told. By May 1994, one month before I had to submit my claim, the flow of documents had stopped before they had started to arrive and so I arranged to go to Melbourne on 14 May 1994 to look at some FOI documents that Telstra stated they would show me, in their offices. On the 14 May 1994, I arrived at Telstra’s Exhibition Street FOI viewing room at 9:00 am as previously arranged, to view FOI documents that Telstra had sent me without schedules. I was introduced to Telstra FOI staff, including George Sutton and Rod Pollock. I was informed I had the room until 6pm. I also arranged this meeting so I could apply for other material I had requested, but not received. Rod Pollock offers fabricated reasons to explain why documents Alan had received some days before were heavily censored by blanking out information. Alan receives some of the documents he should have received under his December 1993 and February 1994 FOI requests. Mr Pollock provides some heavily blacked out documents, including about 56 fax cover sheets, with attached documents. One of the documents refers to the MELU Exchange that caused Alan massive problems between August 1991 and March 1992, so he asks Mr Pollock if he could supply the document, without the blanking out. Mr Pollock leaves and Alan continues to check the documents provided. I had some of the documents that Telstra had previously supplied with me. I noticed faxes that were only half received in the past were now not only incomplete, but they were attached to documents they had no connection to the attached information. Some of the 56 fax-cover sheets I had seen before, now had completely different material attached. Nothing seemed to match. For example, documents relating to a fault in 1991 were attached to a fault record dated 1993 that stated no fault had been found. I was so alarmed at this discovery, that I phoned Detective Superintendent Jeff Penrose of the Australian Police and described the situation to him. At his suggestion, I prepared a Statutory Declaration and provided it to both the TIO and the arbitrator. Even though the TIO was acting as administrator to my arbitration, they refused to send anyone back with me. As already noted, on 11 January and 11 July 1994 Telstra’s Steve Black wrote to Warwick Smith regarding the TIO-appointed Resource Unit and AUSTEL censoring Telstra documents before the COT claimants were allowed to use them to support their claims. Perhaps this is why no one from the TIO’s office would help investigate this discovery matter? it was unreasonable for Telecom to require the participants to make the assurances while Telecom was considering the agreement related to the FTSP (the Agreement) and thereby denying the participants the opportunity to consider the rules that Telecom wished to have included in the Agreement. Telecom claimed that documents given to Telecom by Mr Smith in 1992 had been destroyed or lost. Telecom has lost or destroyed a number of files relating to his contacts with Telecom prior to 1991. Telecom unreasonably delaying providing access to many documents. (20)”…I had cause to travel to Portland in western Victoria in relation to a complaint involving suspected illegal interference to telephone lines at the Portland telephone exchange. (21) As part of my investigation, I first attended at the exchange to speak to staff and check the exchange log book which was a record of all visitors to the exchange and a record of work conducted by the technical officers. (22) When I attended at the exchange, I found that the log book was missing and could not be located. I was informed at the time by the local staff that a customer from the Cape Bridgewater area south of Portland was also complaining about his phone service and that the log book could have been removed as part of that investigation”. Could this perhaps, be linked to my first disclosure to AUSTEL, in June 1993, when I explained that at least two other businesses in Portland were having considerable 008/1800 problems? In addition, I told AUSTEL that it was impossible for so many short-duration calls to have come into my business, even though that was what my telephone account showed. Telstra’s local technician had lied about the ELMI monitoring machine NOT being connected to my service, when it had been.What was in the logbook that a government regulator, Telstra’s own protective service officer and the commonwealth ombudsman’s office have been unable to gain access to it? Like much of the Cape Bridgewater fault data that AUSTEL failed to obtain from Telstra during their investigations into my complaints (see Main Evidence File No 15), I was also unable to get my hands on the Cape Bridgewater/Portland exchange logbook – not even with the help of the Commonwealth Ombudsman. Could this be the reason why the log book vanished? Perhaps Telstra feared a class action lawsuit in the future. All I wanted was to prove my case and get on with running my business. “I believe the following fax from the Commonwealth Ombudsman’s Office, is relevant to my claim, and not contrary to the instructions outlined in your letter dated 10th November, 1994. Dr Hughes stated I should not be sending letters to him, the TIO or Telstra unless the letters related directly to my claim. I received threats from Telstra after the signing of the agreement. Telstra refused to supply requested FOI documents and forced me out of their Melbourne Exhibition Street head office after I discovered some of my requested FOI documents were defaced while I was at lunch. Yet Dr Hughes and Warwick Smith would not approach Telstra on my behalf and demand Telstra explain those threats. The Australian Federal Police were supposed to investigate these threats and did not. It seemed Telstra controlled the whole arbitration process. This is why I stood out, alone, asking what the #$? * is going on! Where was the Portland Cape Bridgewater exchange logbook? This one document, amongst thousands, on its own would prove my case: my ongoing telephone problems and those of other Cape Bridgewater and Portland residents were true, as the daily recording of those faults, penned into the log book each day by the various technicians, would have shown. I was on my own, as were the other COT cases. Of course, later the Senate uncovered that Telstra withheld most, if not all, of the relevant, requested documents. However, the Senate’s findings, regarding this withholding, were tabled three years after my arbitration over. This was three years too late: Telstra had won and concealed that my ongoing complaints were real. What is so appalling about this withholding of relevant documents is that no one in the TIO office or government has ever investigated the disastrous impact this had on my overall submission to the arbitrator. It is blatantly obvious The Establishment, which controlled my arbitration process, also denied me my rights as an ordinary citizen – an equal before the law – and ultimately deprived me the right of having justice run its due course. 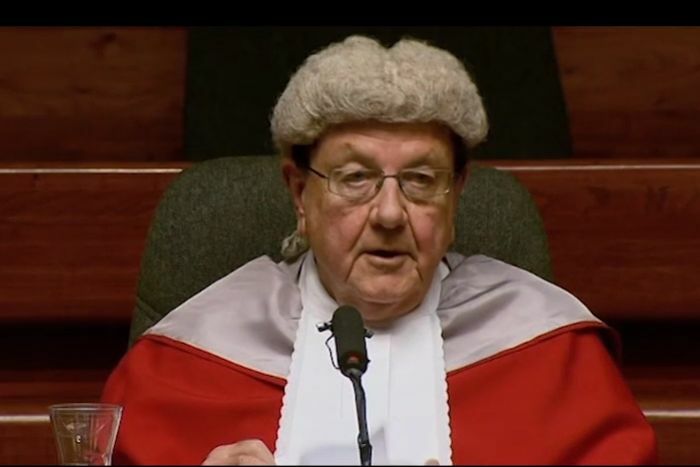 The arbitrator and the government (who, remember, at the time fully owned Telstra) should have initiated an investigation into why an Australian citizen, who assisted the AFP in their investigations into unlawful interception of telephone conversations, was disadvantaged during a civil arbitration process. Furthermore, when Telstra carried out those threats, the arbitrator covered up the withholding of these discovery documents by writing to Laurie James, president of the then Institute of Arbitrators Australia, on 16 February 1996 and stating my not-received 24,000 FOI documents were received and read by either him or the arbitration resource unit. TIO official arbitration records, dated 30 March 1995, show those documents never reached the arbitration process (see Prologue/Chapter Three). Eighteen months after Dr Hughes misled Mr James about these 24,000 late-received documents, a Senate estimates committee investigation was set up to investigate five COT cases’ complaints concerning their documents, which had also being withheld from them. Had Dr Gordon Hughes come forward and admitted to the Senate committee that he deceived the Institute of Arbitrator Australia concerning my withheld FOI documents, I would have been brought into that investigation. John Wynack, director of investigations for the Commonwealth Ombudsman’s Office, and Tony Morgan, national chief adjuster for GAB Robins (Australia), are fully aware that most of these 24,000 documents were provided with no identification or schedules, while others belonged to the Fortitude Valley and Lutwyche telephone exchanges in Brisbane, more than 1,200 kilometres from my exchange. How could I submit this Fortitude Valley and Lutwyche technical documentation into my own Cape Bridgewater Holiday Camp arbitration claim when it belonged to Brisbane COT case members Ann Garms and Maureen Gillan? Even though AFP records dated 26 September 1994 (see Australian Federal Police Investigation File No/1) show I named the Telstra executive who had indeed threatened me no one transparently investigated this person even though he was in charge of Telstra’s arbitration matters. Furthermore, when Telstra carried out those threats, the arbitrator covered up the withholding of these discovery documents by writing to Laurie James, president of the then Institute of Arbitrators Australia, on 16 February 1996 and stating my not-received 24,000 FOI documents were received and read by either him or the arbitration resource unit. TIO official arbitration records show those same documents never reached the arbitration process (see Prologue/Chapter Three). John Wynack, director of investigations for the Commonwealth Ombudsman’s Office, and Tony Morgan, national chief adjuster for GAB Robins (Australia), are fully aware that most of these 24,000 documents were provided with no identification or schedules, while others belonged to the Fortitude Valley and Lutwyche telephone exchanges in Brisbane, more than 1,200 kilometres from my exchange. How could I submit this Fortitude Valley and Lutwyche technical documentation into my own arbitration claim when these they belonged to Brisbane COT case members Ann Garms and Maureen Gillan FOI applications? Dr Hughes did not demand to know why I was threatened, during my arbitration, with the withholding of my requested discovery documents, sought under the FOI Act. What is so disturbing about this, is that when Dr Hughes learned I continued to assist the Australian Federal Police’s investigations into Telstra’s unauthorised interception of my telephone and faxes – and that Telstra did carry out its threat and stopped releasing FOI documents – he also forgot his official promise to COT spokesperson Graham Schorer made during our pre-arbitration hearing. During this meeting, Graham raised Telstra’s previous unethical conduct towards the COT cases and Dr Hughes stated “as arbitrator, he would not make a determination on incomplete information” (see Telstra’s minutes from this meeting [page 3 – second line] My Story Evidence File No 14). It is now confirmed, throughout this website, absentjustice.com, that Dr Hughes did, indeed, make a determination on incomplete information. This is serious enough, but what about the most important document of the whole arbitration process, which was also concealed, i.e, the Portland and Cape Bridgewater telephone exchange logbook which AUSTEL used in order to prepare their own covert adverse findings against Telstra (see AUSTEL’s Adverse Findings? Dr Hughes was even advised the Commonwealth Ombudsman was unable to force Telstra to release this document (see Commonwealth Ombudsman’s letter below). Why did Dr Hughes ignore my pleas to access this most relevant log book? In Chapters Two and Three in our Telecommunication Industry Ombudsman page, I show that the defendants in the COT arbitrations (Telstra) infiltrated the TIO office at the start of the COT settlement/arbitration process. This ‘plant’ even signed off letters addressed to Telstra on behalf of the administrator of the arbitration, advising my fault reporting to the TIO was not relevant to my current settlement. This implied I agreed these faults had nothing to do with my settlement, when those faults clearly formed a major part of my settlement/arbitration process. What I did not make known in those two chapters is the following. Three of Telstra’s executives (THEN on the board of the TIO and council) were fully aware Telstra’s outside lawyers drafted a strategy called the COT strategy (see Prologue Evidence File 1-A to 1-C). This strategy was designed to destroy any chance of the four main COT cases (including Graham Schorer and me) from gaining access to discovery during the TIO-administered arbitrations. The administrator of the COT arbitrations knew – before the process commenced – that Telstra and its defence lawyers, Freehills, were going to illegally hide COT-requested documents under Legal Professional Privilege, even though this was NOT privileged information. The author of G.S. Conflict of Interest File 3, dated 2 November 1990, shows that he is fully aware that in Graham Schorer’s first battle with Telstra, in the Federal Court in 1990, that discovery documents were concealed from him. Three years later, on 13 September 1993, this same person, Trevor Hill, was sending out information confirming that Telstra’s lawyers, Freehills, had derived a process called the COT strategy (see Prologue Evidence File 58-A). Prologue Evidence File 58-B shows Trevor Hill was receiving emails within Telstra concerning the same COT strategy. While we raise our concerns, in Chapters two and three in our Telecommunication Industry Ombudsman page, that three of Telstra’s most senior executives were on either the TIO board and council during the COT arbitrations, we have not raised the issue that Trevor Hill was to later became the TIO chair of the board. Obviously, Telstra had an unhealthy control over the COT cases complaints that the TIO was dealing with – not just during the COT arbitrations but even after those arbitrations. No wonder NONE of the COT cases’ valid claims concerning their arbitration have ever been transparently investigated.